What is the Greenhearts Project? GREENHEARTS PROJECT is a voluntary social movement involving friends who share a feeling and vision for "a Bolivia that serves as an Environmental Refuge for us, future generations, and all of humanity". 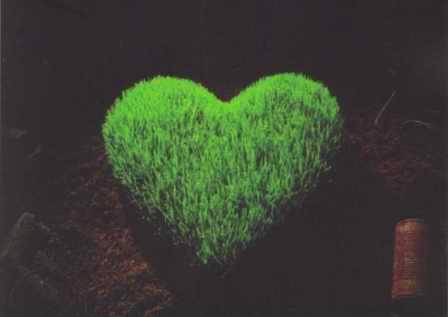 GREENHEARTS PROJECT, exists because this fragile Earth deserves a voice. It needs solutions. It needs change. It needs action. Our objective is to generate sufficient commitment through interconnection and the active participation of allies from which to gather strength and support for the global challenges we will face together in the future. Our mission is to build upon responsibility and love for life and each other, the latter being both human beings and all other forms of life, with the understanding that we were put at the forefront of creation. We believe new generations can fulfill a transcendental role in view of the threat of global extinction. GHP works with matters involving universal law and responsibility. The environment is a heritage that belongs to everyone. 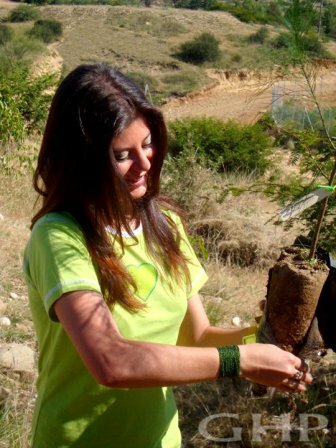 The organization carries out its activities through the FILBO Foundation's Environmental Development Component under the framework of the Development Goals of the Millennium Project. •The highest navigable lake in the world is located in Bolivia at 3.810 masl. Lake Titicaca is drying up and may soon split into three lakes. •Bolivia has the largest salt deposit on Earth. The Salar de Uyuni contains about 64 million tons of salt. •Bolivia is home to the largest reservoir of lithium in the world (under the salt at Uyuni). •Bolivia is located in one of the regions of the world with the greatest amount of annual precipitation - over 8000 millimeters per year. •Bolivia is the No. 1 country with certified tropical forests on the planet. •Bolivia is among the world's megadiverse countries, which contain 70% of all species known to man. •Bolivia is home to 40% of all the biological diversity (plant and animal life) in the world. •Bolivia is one of the top 3 exporters of organic Brazil nuts in the world. •Bolivia is the 4th country in the world with the largest variety of butterfly species. •Bolivia is one of the top 5 exporters of certified tropical lumber and wood products. •Bolivia is the 7th top country in the world in bird species. •Bolivia is among the top 10 countries that export organic coffee and cacao. •Bolivia is the 10th top country in the world in vertebrate species. •Bolivia is one of the 11 countries of the world with the most vascular plant species. •Bolivia is among the top 12 countries with the largest organic agricultural surface. It is estimated that exports of organic products will reach 450 million dollars by 2016. On 4 December 2009, in the city of Santa Cruz, Bolivia, Greenhearts Project signed a first Ecological Alliance within the framework of its "Green Bolivia Blue Planet" program, in response to our vision of building towards a Bolivia that acts as an Environmental Refuge for Mankind. We work under the premise of "Acting Locally and Thinking Globally." The alliance establishes the creation of a 200,000 hectare reserve in the community of El Carmen in the Department of Beni, destined to conservation and the mitigation of greenhouse gases. Under the idealist and pragmatic principle that faith without works is not faith, we visualize a Green Bolivia that conserves biodiversity with no regard for geographical limits. Upon this premise we conceived our Green Bolivia Blue Planet program for a healthy planet. It's a solid idea, taking concrete actions to make this a reality takes much effort. Shortly after the Industrial Revolution and prior to the foundation of the United Nations Organization, there were already warnings that the social policies regarding exaggerated industrial development in view of a limited amount of resources would be administratively unsustainable. Over time several international and national organizations were created in the defense of human rights, resources and ecosystems. Trillions of dollars have been invested in this the world over. However, the environmental degradation of our planet continues to advance in geometric proportions. Today experts warn that the saturation levels of greenhouse gases have surpassed projected levels and if this trend continues at the current rate, we will reach critical levels in under 50 years. This phenomenon has surpassed the capacities of the traditional governmental and non-governmental institutions to take action and to react. After the COP15 Conference in Conpenhaguen (during which we expected world leaders to assume responsibility on our universal rights and obligations regarding the environment) we see that we must continue to wait for this to happen. And while we wait the planet continues to be degraded and thousands of forests and plant and animal species, continue to become extinct each day while communities become poorer and less sustainable. a. The first is located in the valley of Concepción in the Municipality of Uriondo in the Department of Tarija with a surface area of 5000 hectares. It will be used to recover degraded soils, aquifers, mitigate greenhouse gases through a reforestation program involving the planting of 2 million trees. b. The second, and our main focus at this time, is located in the community of El Carmen in the Department of Beni. It is 200,000 hectares in size and will be destined to conservation and the mitigation of greenhouse gases. c.	The third is located in Irupana in the Department of La Paz. It covers 30 hectares of surface and will be used to educate on sustainable development, and for research. 2)	Develop environmental education programs directed at school-aged children and teens to develop ecological awareness and form future leaders. This is being done through an agreement with the Centro Boliviano Americano and other schools and institutes. 3)	We are working to promote the passing of a regulation in the municipality of Cercado in the Department of Tarija that will regulate and limit the use of plastic bags. 4)	GHP and BoliviaBella.com are now working together to spread the word on our strategy for forest reserves and other activities. In addition, BoliviaBella.com hosts the GHP webpage. 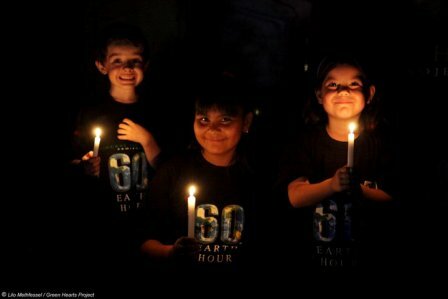 5)	In 2009 we formed a fraternal alliance with WWF Bolivia to promote Earth Hour each year in Tarija, Bolivia. Although our contributions may seem small, we hope to expand our network of reserves and begin implementing them. We will continue to advance toward our mission along with GHP friends and partners working together to grow this green heart.